Mode: The SSC MTS 2019 Exam Application Form can be filled online on the official SSC website at www.ssc.nic.in. Availability: SSC MTS 2019 Exam Application Form is expected to be available online from 4th August 2019 to 31st August 2019. Eligibility: The candidate has to fulfil the eligibility criteria before applying for the exam. Exam Centre choice: The candidate has to select the exam centre carefully while filling the application form, and the exam centre cannot be changed after submission of application form. Verification: Documents and other details will be verified after the paper I of the shortlisted candidates. In case of false information, the commission can disqualify the candidate. Personal details: Candidates has to enter personal details like their name, father's name, mother's name, date of birth and gender. 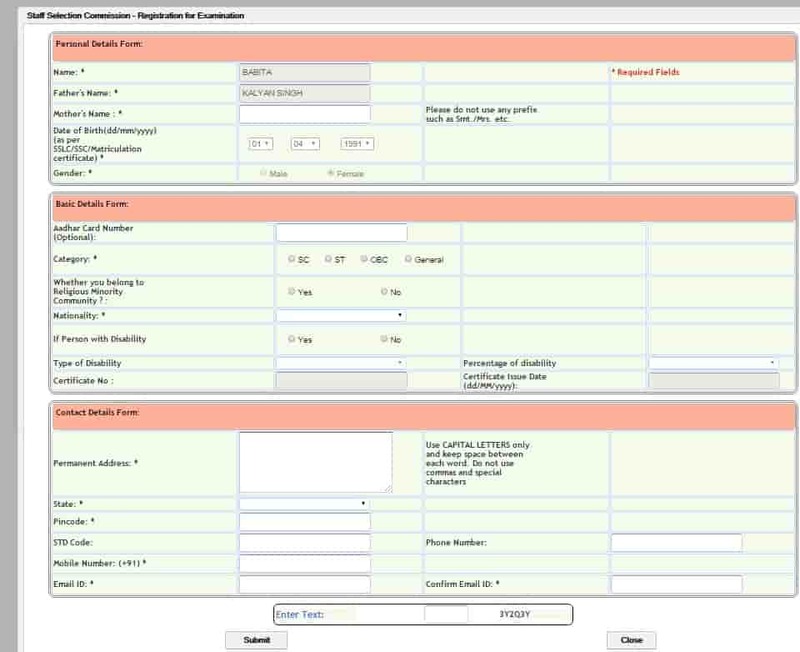 Basic details: Candidate has to mention basic details like Aadhar card number, Category (SC/ST/OBC/General), Nationality, PwD, Certificate number etc. Contact details: Candidate has to provide contact details like permanent address, State, Pincode, phone number and E-mail ID. Post: Choose your Preference post from various Posts during this procedure. Photograph: The file size of the photographs must be between 30 kb and 50 kb and the resolution should be 100-pixel width and 120-pixel height. The photograph should be coloured with a white background. Signature: The Signature of a candidate must be on white paper with a black ink pen and must be uploaded in jpg format. The digital size of the signature file must be between 1 kb and 12 kb with the resolution of 140-pixel width by 60-pixel height. Note: The candidates signature on the answer script and on the call letter should match and if not then he/she will be disqualified. Printout: Take a print out of the application form. After successful submission of application form, candidates have to complete the payment procedure. Amount: General Male Candidates have to pay a Fee of INR 100 and SC/ST/OBC/PH and female candidates will be exempted from paying any fee. 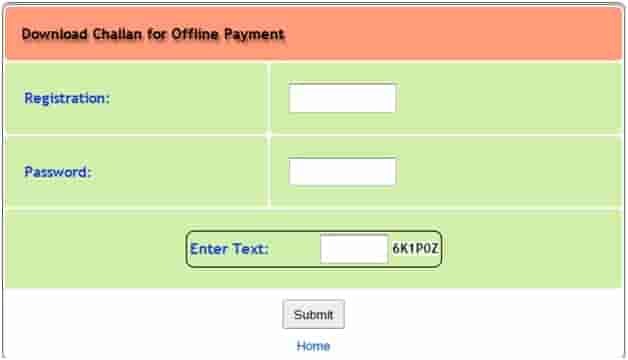 Mode: Payment can be made Online (using Debit/Credit card or internet banking) or through offline (Challan) Mode by SBI Bank. To take out the challan print candidate should visit the official website where one should enter registration number and password along with the text. Rejection: The application form will be considered only after the fee payment otherwise the same application form will be rejected.